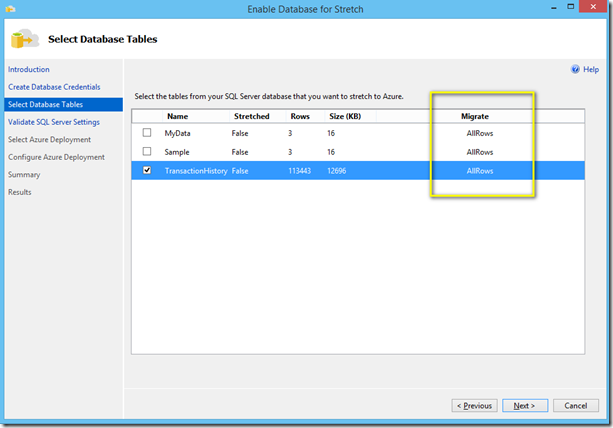 In latest version of SQL Server 2016 CTP 3.3, we have issues in Stretch option. I have listed out the issues, hope this will be sorted out before GA (General Available). 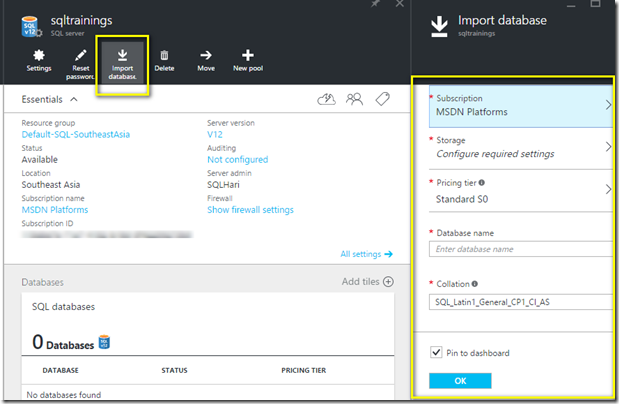 Issue 1: No option to move only set of rows to Azure Database. The default option is “Migrate All Rows”. 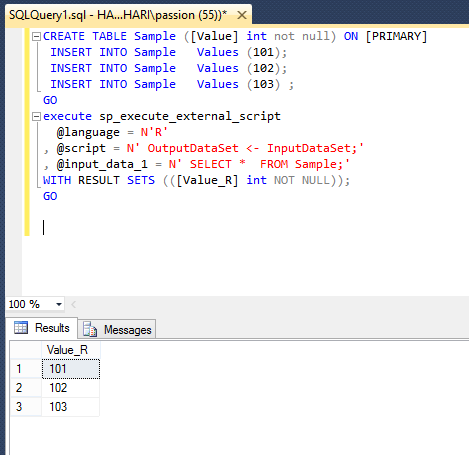 Using inline function, we can apply the condition to split the records but available only through T-SQL Scripts. 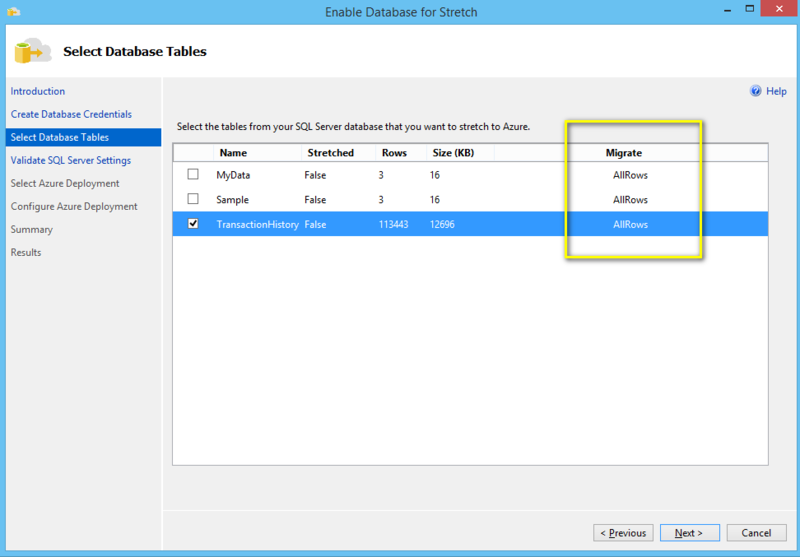 Issue 2: Stretch option is not enabled for table even though I enabled the stretch on database with selected tables. 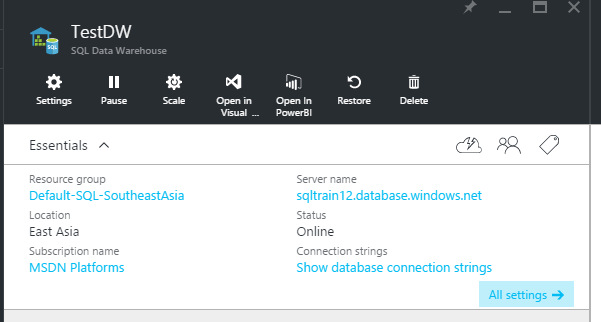 Issue 4: Almost all the time, all the data got migrated to Azure database, in local only 0 record. 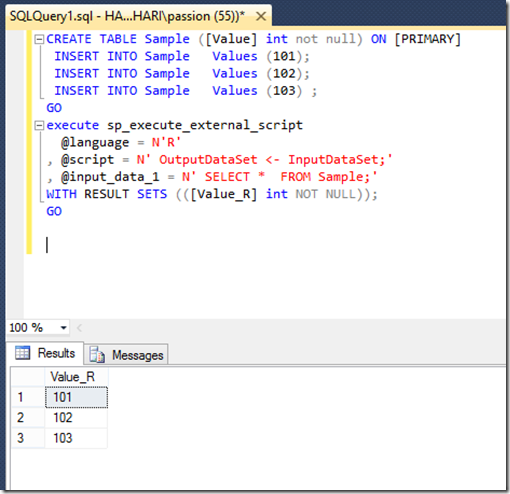 Follow my previous article to integrate R in SQL Server 2016, Once done then check the R script in SQL Server to make sure integration is done successfully. When I run the script, I got below error. 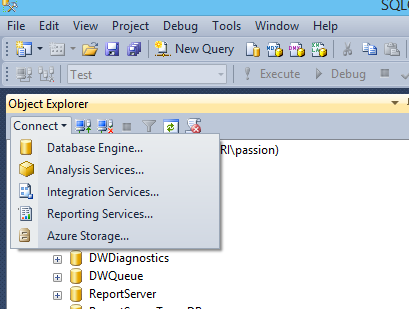 The blue highlighted path will be different if you have installed SQL Server on a different path. 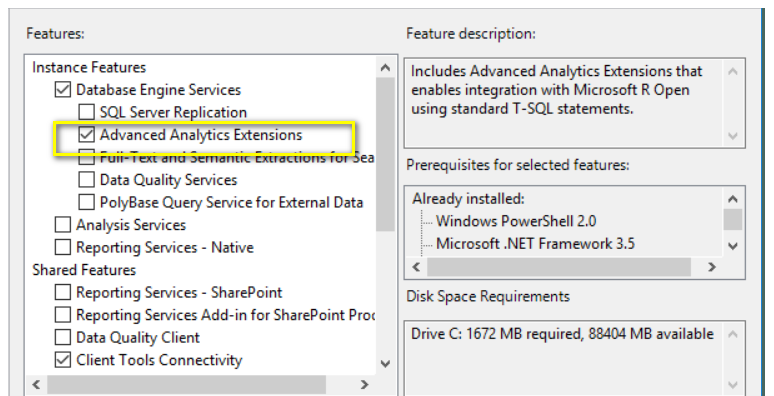 make sure your working directory is correct without any extra space and also check the permission for “ExtensibilityData” directory. Provide similar permission level as above. It is very easy to integrate R services with SQL Server 2016. 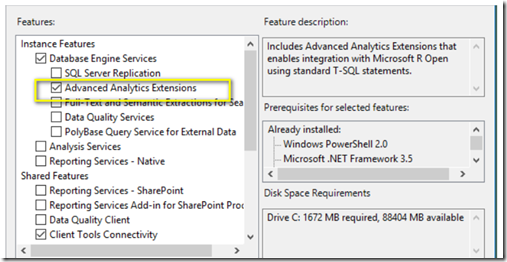 First, make sure you have selected the “Advanced Analytics Extensions” while installing SQL Server. 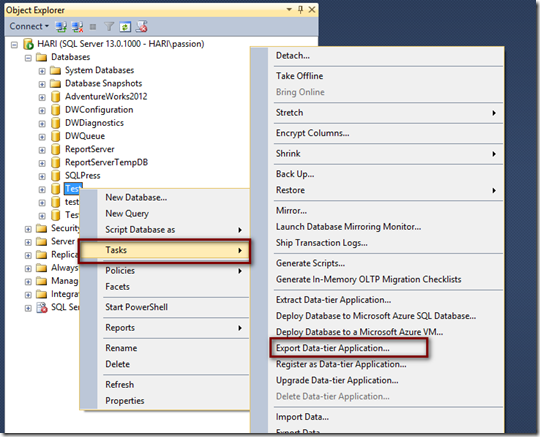 Once the above components are installed then enable the external scripts in SQL Server Management Studio. The next step is run the post installation script in command prompt, Locate the registerRext.exe file in your system. 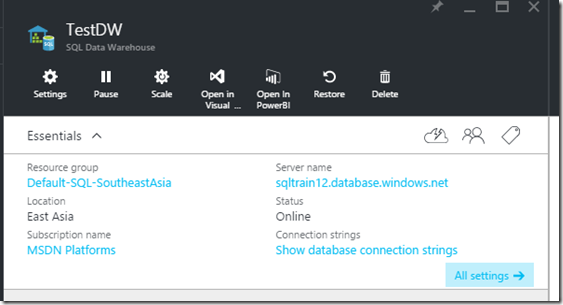 Creating a SQL Data Warehouse is very easy in Azure. It is the industry first cloud data warehouse with full fledged SQL capabilities and ability to grow, shrink pause in seconds. 3. Define a name. 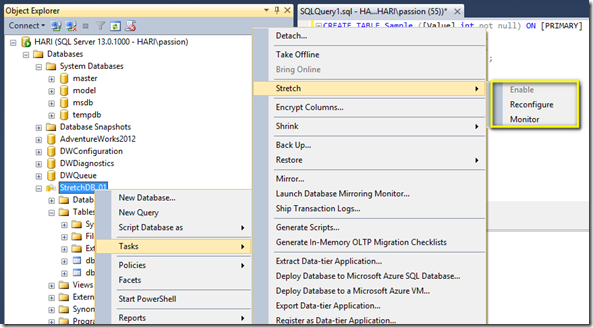 You can create a new SQL Server or select existing one. 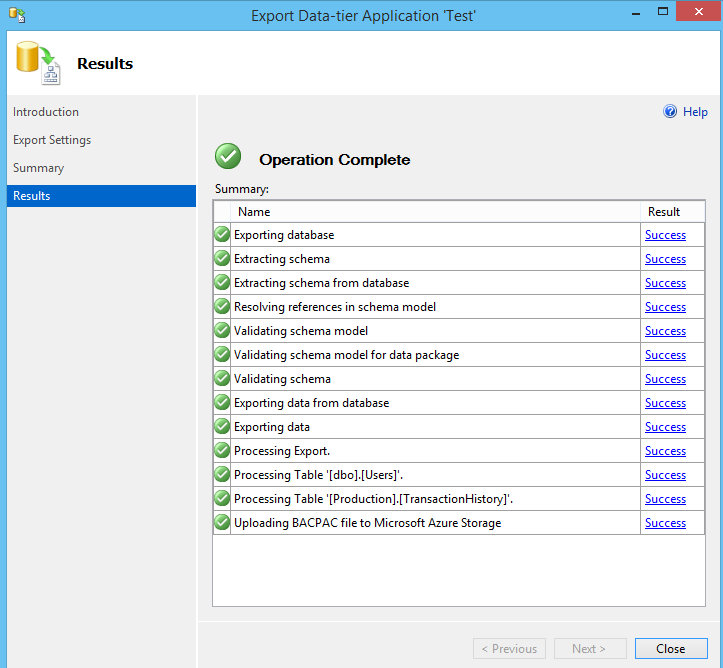 Choose the DWU (Data Warehouse Unit) based on your requirement . 4. 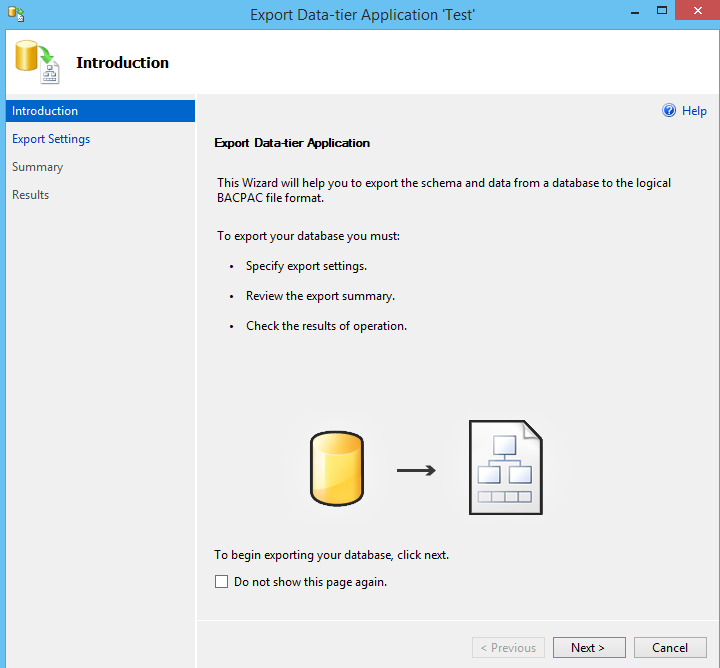 You can create DW with blank database or with Sample. 5. 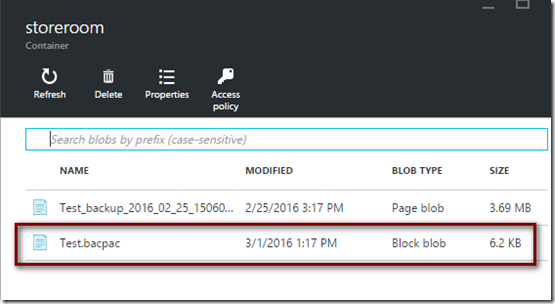 Click “Create”, Azure will create and deploy DW for you. I have talked about how to import the database on premises SQL Server using .bacpac file which was taken from Azure export (find here). 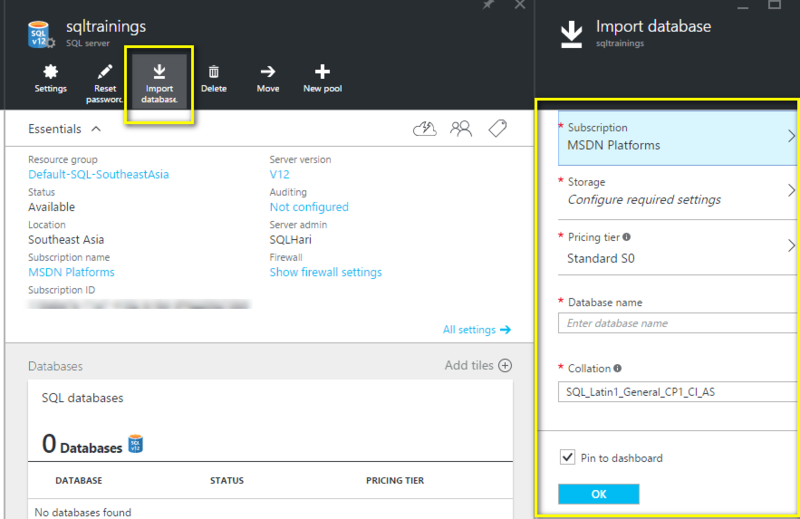 This is article will speak about, how to migrate the database from on-premises SQL Server to Azure. We to need to perform two steps here. 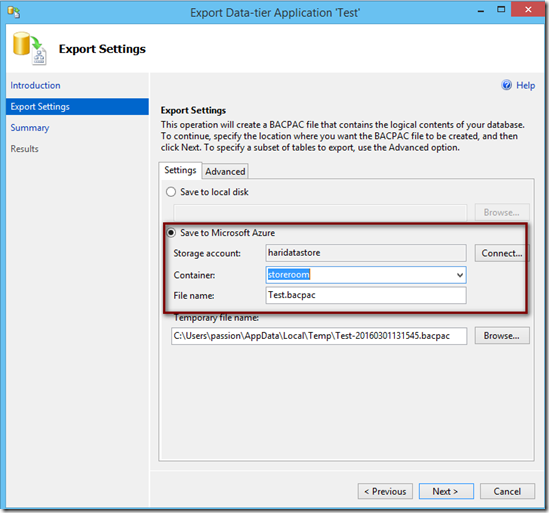 Exporting the database using data tier application since we need to get .bacpac file format. 1. 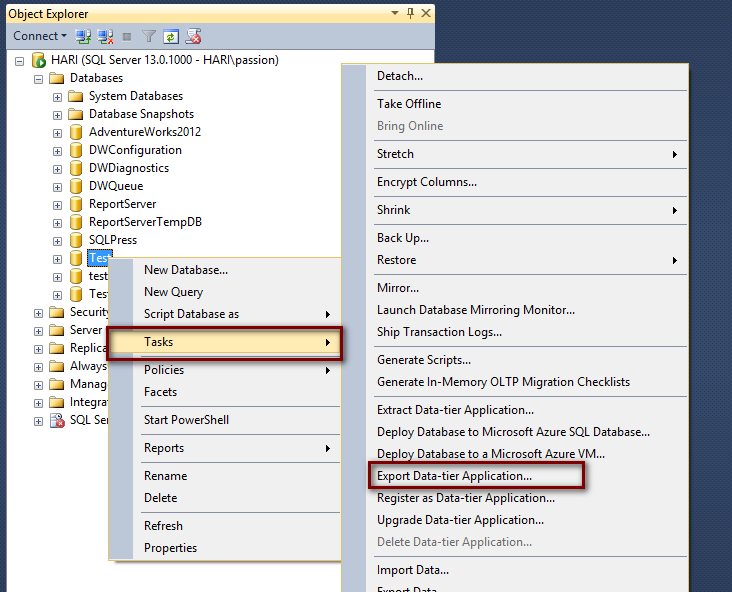 Choose your database which you want to migrate. Right Click on database and choose Tasks –> Export Data-tier Application. 3. 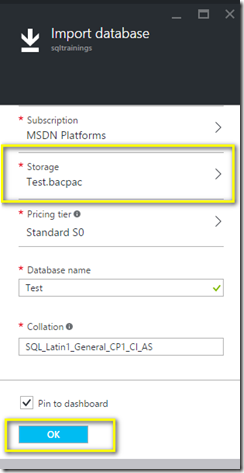 Check the Azure storage for the .bacpac file. 2. 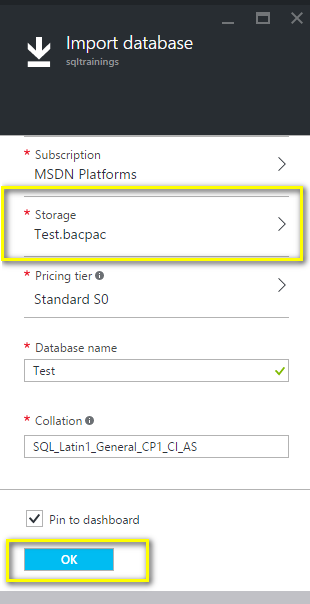 Map your .bacpac file from your storage container. 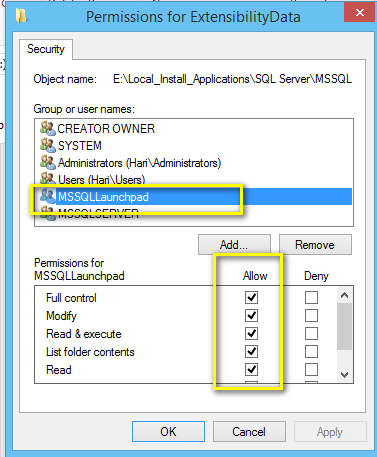 It is one of the security feature available in SQL Server 2016. 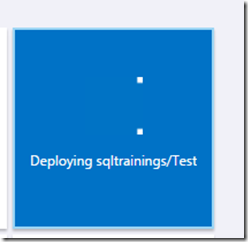 This is applicable in SQL database in Azure as well. It enables us to handle the sensitive data very securely. 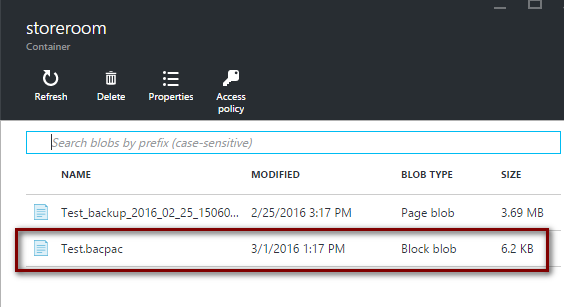 By implementing dynamic data masking, we can restrict the users not to see the sensitive data. It will add a mask to the data. 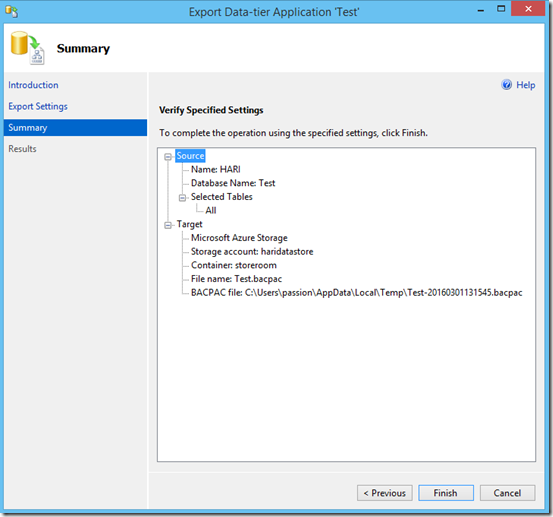 It is easy to implement in new and existing applications. 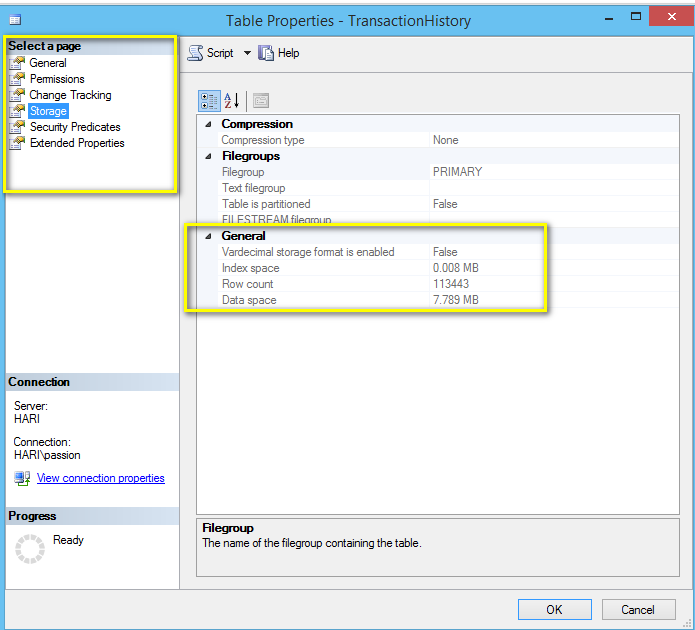 Since it is implementing on database layer, there won’t be any changes required in application. 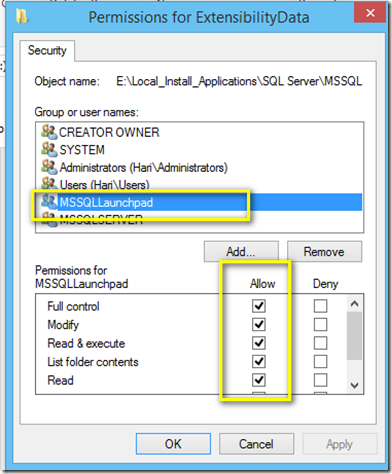 It is using “sys.masked_columns” & “sys.tables” system tables. 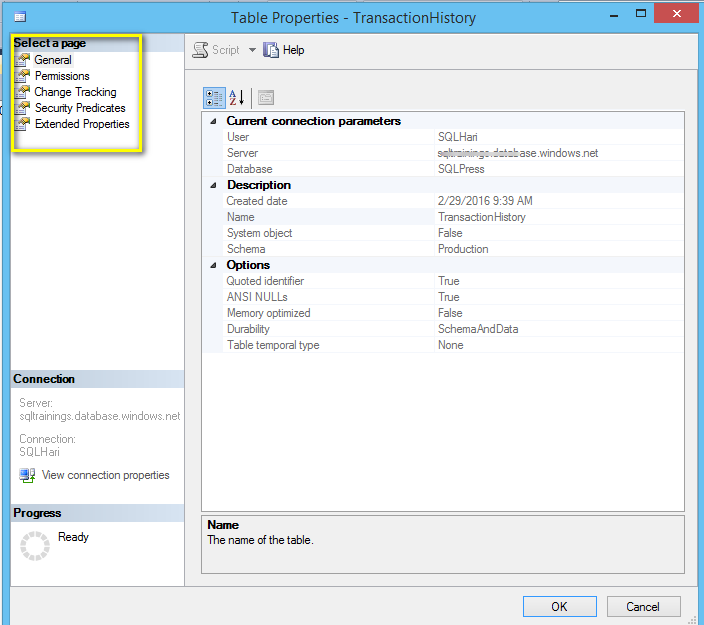 Identifying the table size of the azure SQL database is not possible through GUI since the properties of the table not providing the size information. 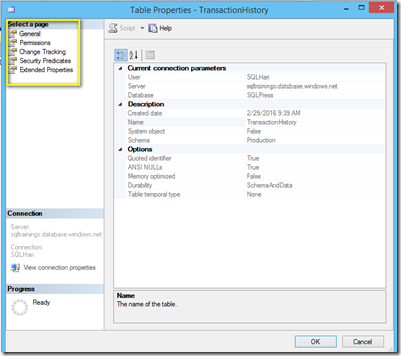 The different between the table properties in on-premises SQL database and Azure SQL database. 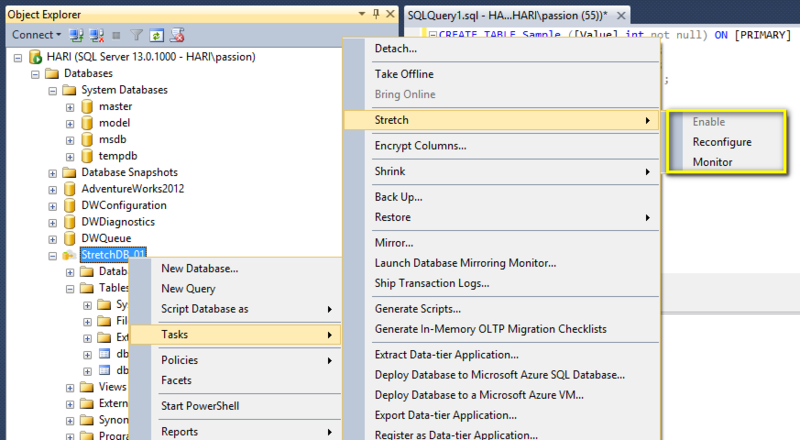 As you can see, SQL Azure database table doesn’t have storage information of the table. 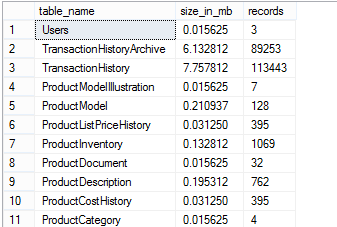 To identify the table size and number of records, we need to use SQL scripts. 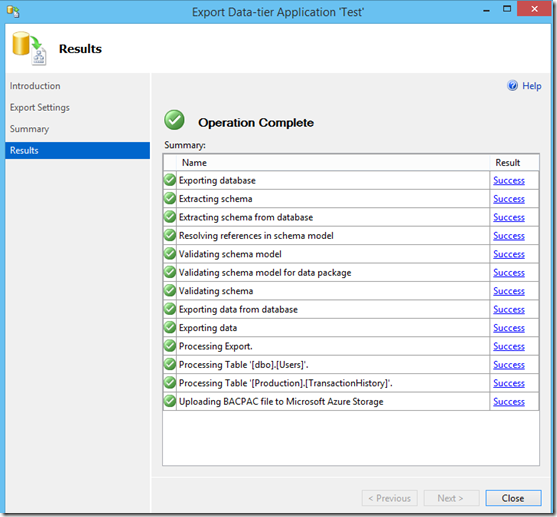 Script 1 : It is using “sys.dm_db_partition_stats” & “sys.objects” system tables. 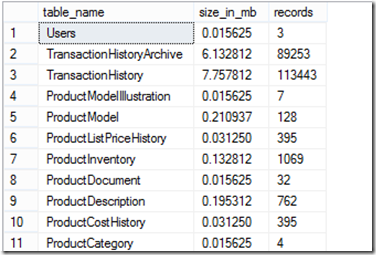 Script 2: Using sp_spaceused stored procedure. 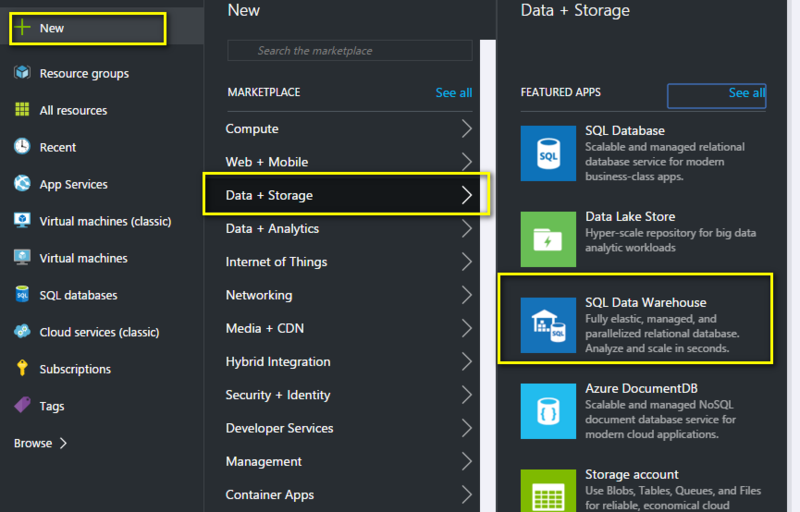 It is very simple to connect your azure storage in SSMS. Make sure that you are not using full name of your storage account. For example: If you have storage account named “Test”. 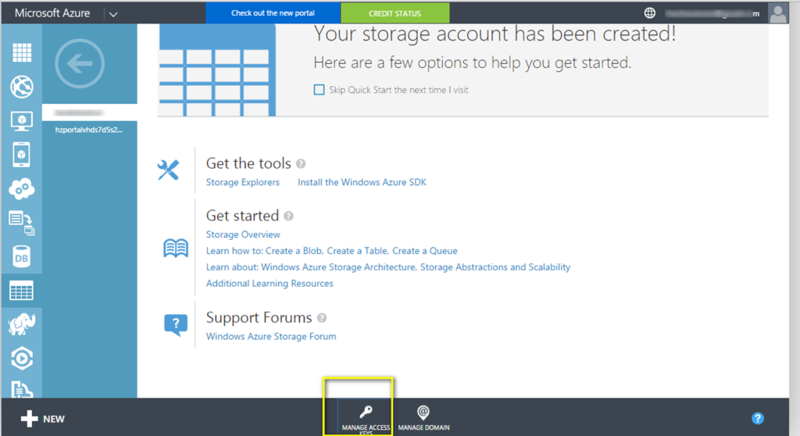 Usually, the full name of the storage account will be “https://Test.blob.core.windows.net”. 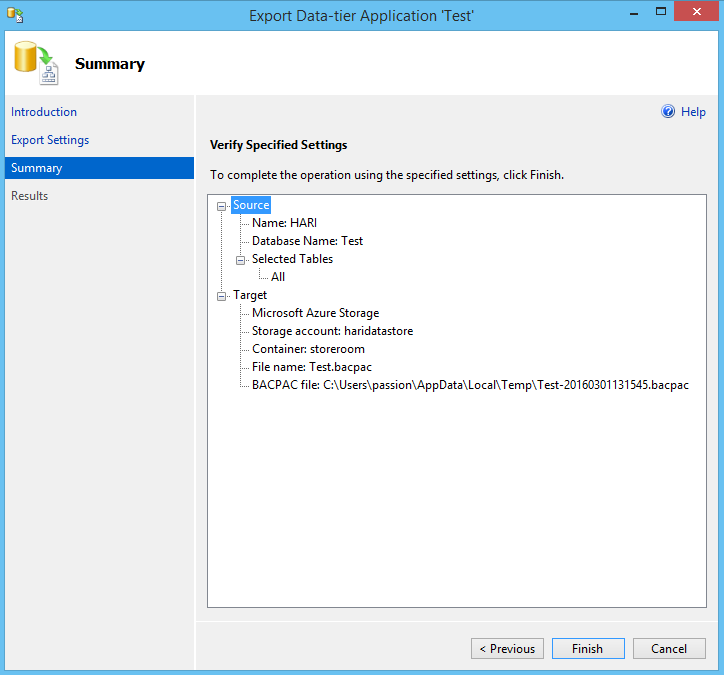 To connect your storage account in SSMS, use only the name of your account (here it is “Test”). Then provide the storage key. 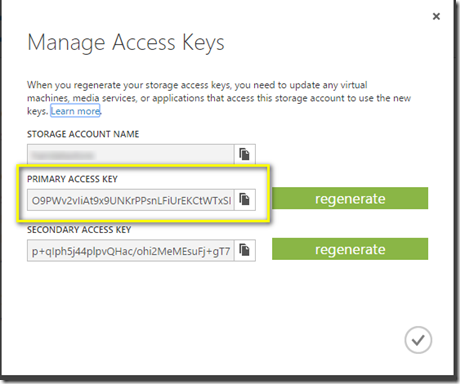 To get the storage key, follow the below steps. Visit Management portal and choose your storage account. 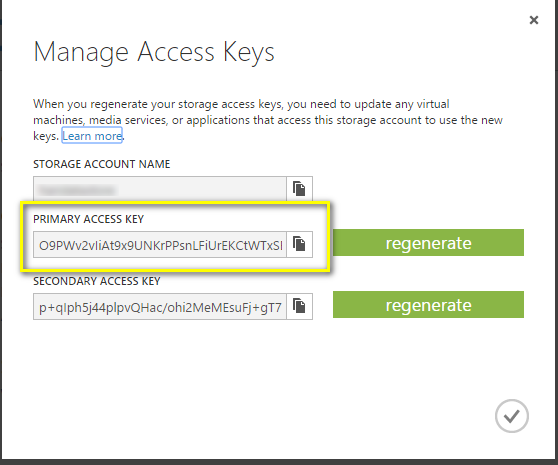 Select the Manage Access Keys and copy your key. 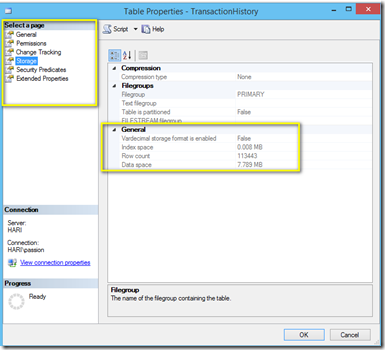 Use your storage account name and key in SSMS.